Frugal retirement living is all about saving money, knowing how to negotiate is a must-have skill... the good news is it's easy once you know how. All it takes is a few simple steps... here they are. You first have to ask for something to start the negotiation... no one will negotiate against themselves, you need to be the initiator. This sounds very simple but remember the worst that can happen to you when you ask for something is that they will say no... nothing ventured, nothing will be gained. 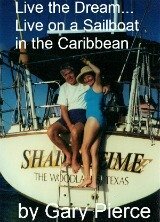 My wife and I love to take cruises... it's the reason we save money every day so we can spend it on what's important to us. Recently I had to spend over one hour, one hour 19 minutes to be exact, in order to get a discount on a cruise that we wanted to take. My patience and negotiating resulted in a savings of $404... not a bad return on investment for my time. Please refer to my page on how to complain, negotiating and complaining are similar... but negotiating is trying to improve a price of a product or service that you have not yet purchased... complaining is usually an after the fact situation. One thing that is vital in both negotiating and complaining is reaching a level of supervision that can actually reduce the price of the product or service you are trying to obtain. Realize that when you call almost any phone number, the person that answers is the first line of defense, between you and the supervisor that can actually help you... lower employees are trained and paid, to say no to any attempt at negotiation... nor will they ever volunteer to put you in contact with the supervisor... you have to make the request. 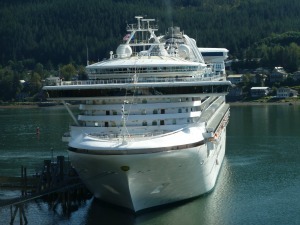 In the cruise ship example above, we are taking a 14 day cruise from Los Angeles to Hawaii. Normally we drive directly to the ship, a 6 hour drive from our home in Phoenix, and park right by the ship. Since that costs $12 a day, we would have been looking at a parking charge of $168. For $168 you should be able to drive to the cruise port area the day before, stay in a hotel, which eliminates the worry about car trouble on the way to the cruise ship... and gives you a day to relax prior to your cruise. The problem was that nice hotels that offer this type of package, free parking for 14 days, including two drinks and a full breakfast the day of the cruise... costs $235 and up. I called several hotels, with these packages, and got nowhere with the reservation department. I called back to my first choice of hotels and asked for the manager...I told him what I wanted and I was ready to buy on the spot, a key point that says you are a serious buyer, not just shopping, if he would give me this package for $149... a wash with the 14 day parking charge next to the cruise ship. He was reluctant at first, but eventually came around, and accepted my offer. You first have to ask for a better price; you have to reach someone at a supervisory level that can make concessions; and you then have to be persistent enough to get what you want. It is not necessary, to raise your voice, or become impolite in any way... that will only stiffen the resolve of the person that you are negotiating with... be pleasant, be patient. The worst thing that could've happened would've been the supervisor to say no... remember that simple fact in don't be bashful and negotiate on everything that you buy. Thanks for reading how to negotiate.